Is Candy Crush Saga Cheating me? I do not know what is going on but I think candy Crush us cheating me. Look at this level I am in, which I think is level 30: This level’s objective is to let all the cherries and nuts fall down to the bottom and be counted as score to get through the next Level while trying to eliminate all the candy obstacles getting in the way while bearing in mind you are only given so many moves on that level. It’s fifty-four moves only for this level! The game developed by King.com is pretty intense and that is why a lot of people, including me, are getting hooked on it. This is where this game gets pretty annoying and that is why I’m raising this question right now for the developers to act on it immediately: Look at the number of cherries I’ve gotten so far. Also, check out the number of cherry and nut being played while I’m on my last two moves for this level. If you know this game well enough then you know something is terribly wrong with this level I’m on. 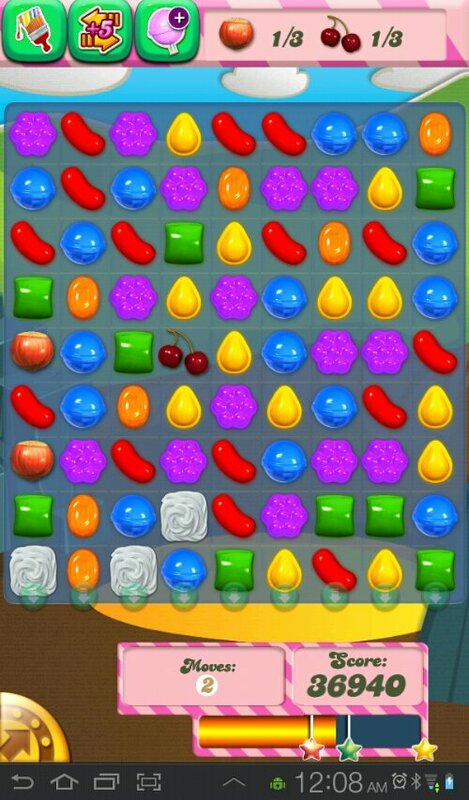 How can you expect to finish this level when you’re not given enough nut and cherries to play with so you can strategize and move to the next round? Have you experienced this? This happened to me now for at least three times. Any way, I hope our agile game developers check on this cause there are people who paid for this game that I think should still be tested further. Previous PostVirginia Hotdogs: Tender, Juicy, TastyNext PostWhat Happened to Sandwich Guy?